Today you will be listening to the Queen's Speech. You have no idea what this day means to me do you? Let me explain. You see, today you will be talking about reducing basic maternity leave to 18 weeks. Then talking about sharing paternity leave with dads. And paying maternity leave in a lump sum at the beginning of maternity leave. You see government minister, today marks the first full day my son spent in Neonatal Intensive Care. He was born at 27 weeks. Under the existing legislation, which I am quite sure you will not change, you have to take maternity leave as soon as your baby has been born. So I would have used 13 weeks leave before my baby was even due, leaving just 5 weeks left. When my son was 5 weeks corrected he wasn't even 7lb. He was still frail. And minister, one in sixteen parents are in the same boat as me, and many many more have babies with medical conditions who cannot be just shoved into over priced childcare. This morning I asked my facebook friends what they thought about this change and I got dozens and dozens of responses. And yes, I understand that fathers can then take leave, though I don't even you know how much yet, but the whole hospital system with a neonate is around the mother. And minister, what about exclusive breastfeeding for the first six months? How are we meant to do that if we are back at work? And what, if like most babies, your baby is in and out of hospital. And minister, what about those families whose baby has an extended stay far outside 18 weeks? Fathers are, by and large, the main breadwinner as your system favours men in terms of salary. Who can afford to lose that income? And minister, what about the hidden costs of hospital stays? Parking, meals, transport, accommodation? I am so angry about this, minister, because through no fault of my own I had a premature baby. You would have put us even more against the wall financially than we already were. 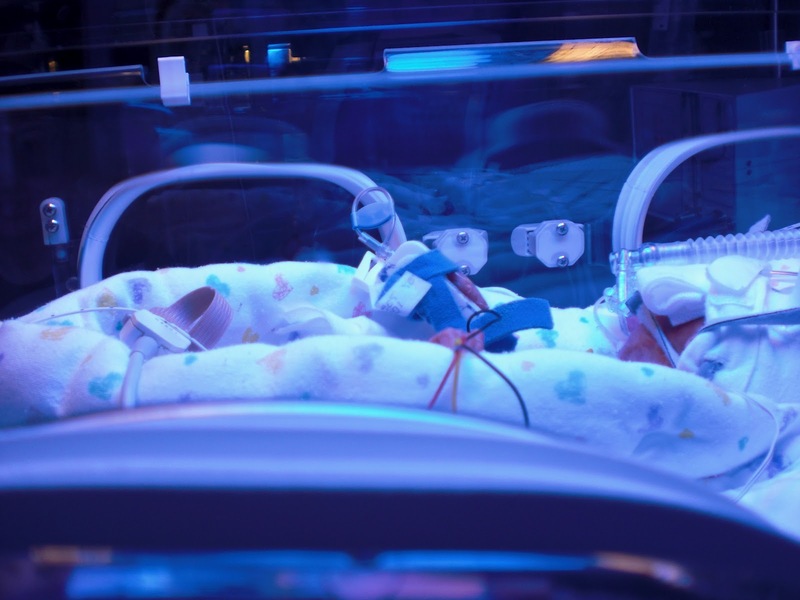 You don't put nearly enough money into preventing prematurity, into research. The NHS is so busy they can't fully monitor all pregnant women in a way that would help prevent prematurity, so before you go reducing maternity leave, minister, why don't you look at that? Why don't you see the big picture? You say you are "family friendly", but minister, I would argue you are anything but. Brilliant post, even as the mother of an on-time baby I think this is just ridiculous. I gave up breastfeeding at 8 months as I had to go back to work, and I know many others that have done the same. Sending us back to work after 3 months will seriously affect this! I can't even imagine how it would affect parents of premature babies! We were talking about this on Twitter last night and it wants to make me weep! My baby is 8 months old and whilst I have always worked around my children, the thought of leaving her at 8 months, let alone 18 weeks is simply unthinkable! I just hope that the "people power" and common sense wins through on this one. Exactly what most mums are screaming even the on time babies. I can't afford to go back to work even though I want to as I would earn £30a month after childcare working full time and that would go towards the £200 I would have to spend on petrol just getting there. Its a sad state of affairs this whole governments attitude to families and women in particular. They are forcing us out of the work place and then not providing for families who are caught between a rock and a hard place. How many companies are now going to be trying to find out if babies are being planned before employing mums and dads. This whole 2 weeks here 2 weeks there is going to be a nightmare for companies to keep up with and the cover they have to provide so a whole generation of people who are at baby making age will be over looked in favour of others. Get a grip conservatives things can't go on like this much longer. !! When my son was 18 weeks old, he was supposed to be 11 weeks old, we'd already been through almost a month of time in hospital and were feeding him every 3 hours through the night and day. I was also still trying to express so he could have breast milk mixed with formula in his feed. I was expressing every 3/4 hours and trying to sleep somewhere in there as well. At 18 weeks, he was around 12lbs and had a lot of catching up to do. We were getting used to his daily supplements and in all honesty it's a blur of fear, exhaustion and amazement. I can't begin to fathom having to go back to work, or being in any situation to discuss anything so meaningful with my employer. I had been ill before giving birth, had had a caesarian that was still very sore at 18 weeks and was emotionally fragile. My son is 8 months old, and I'm still just getting my equilibrium. I want to go back to work, and I will in 4 months, it'll be a financial strain and I'll not see my son for more than an hour for 4 days a week, because we can't afford for me to be with him. This breaks my heart, the thought of making it harder for me to raise any children I may have in the future whilst wanting to juggle a career makes me worry for the next generation. Brilliant post. You need to send a version of this to your MP! Great post Kylie. When E was 18 weeks we were still struggling with his silent reflux trying to get him on the right meds, I can't imagine leaving him to go back to work then. It's forcing mums into even more of a 'rock and a hard place' situation with regards to work. I think it's shocking. I'll admit I'm pretty confused as to what their plan actually is. At the moment we get two sets of 26 weeks to make up the full year of which a few weeks at the beginning is paid a proportion of your salary and the rest at smp. As far as I can tell the proposal is to reduce one of the 26 to 18 and move the weeks over, it isnt a plan to make us go back at 18 weeks, or am I missing something. I want to write to my mp about it but I can't work out what's going on. My own MP does read my blog, and I did email him yesterday. I'm on it! And I won't rest!